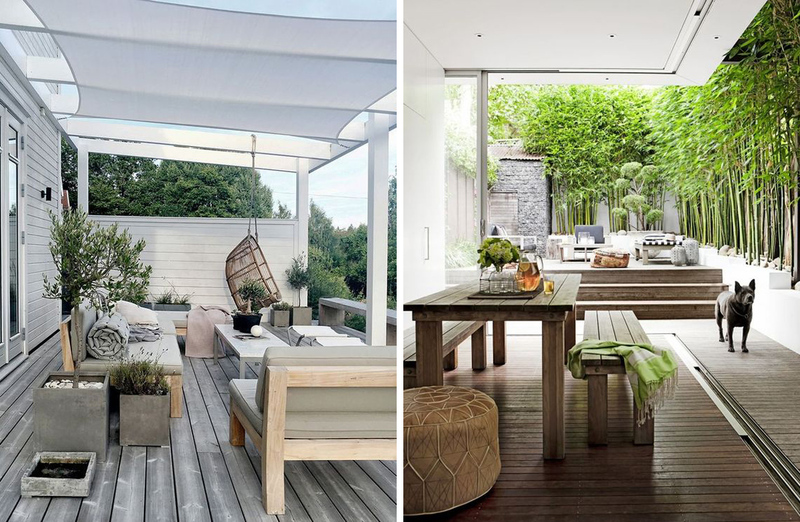 Long weekends and sunny spring days certainly gets us in the mood for days spent lounging and eating outdoors. 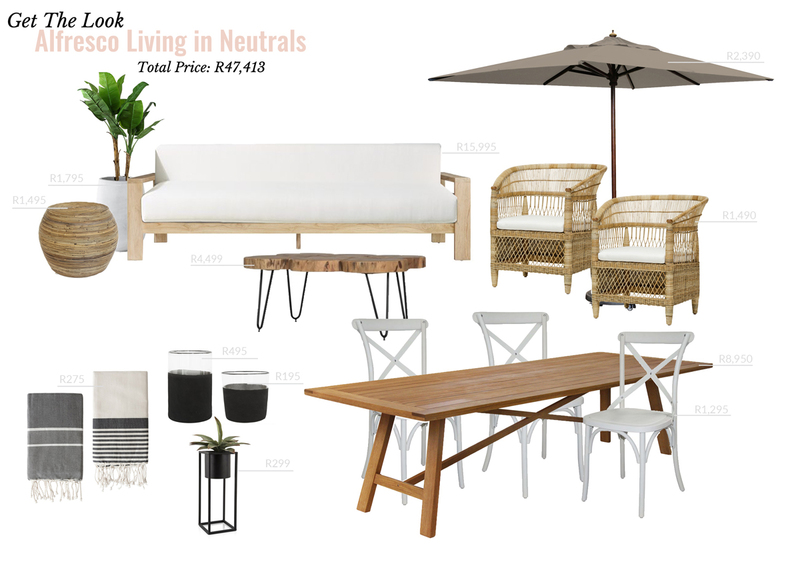 I know firsthand that sourcing good looking and affordable outdoor furniture is quite the task. 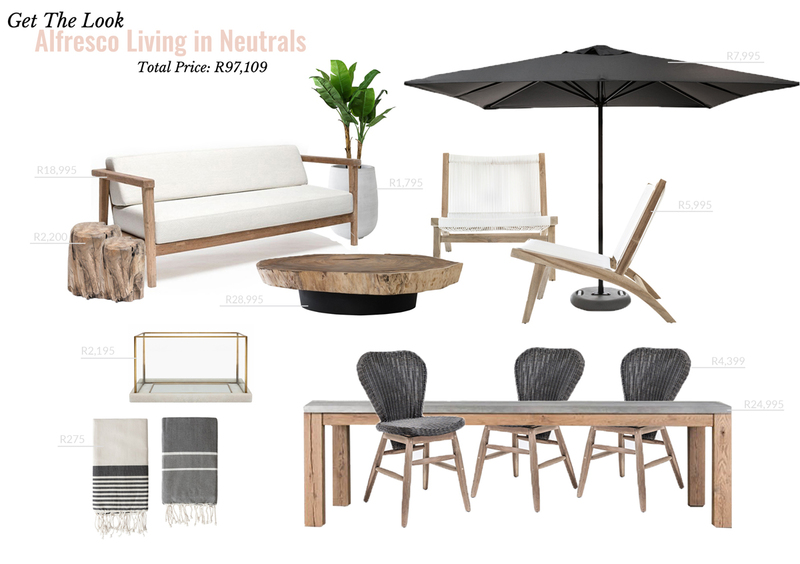 We decided we would help you all out by designing a contemporary outdoor space with a relaxed, laid-back vibe, encompassing all your basic pieces, in a neutral palette. We also worked with 3 different budgets. You’re welcome! 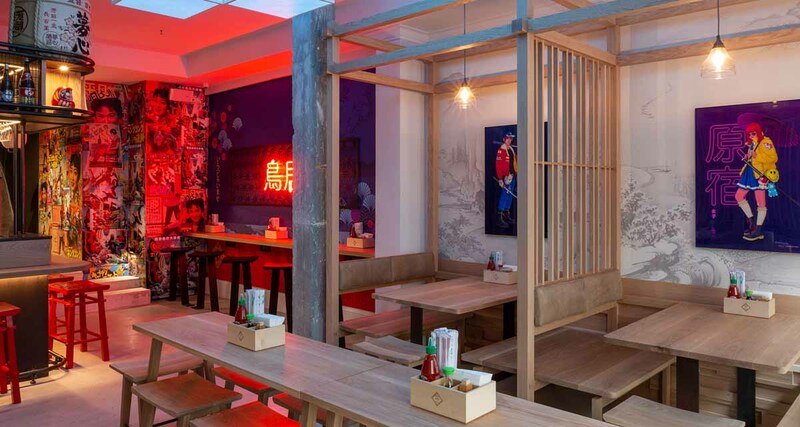 These images give you an idea of the style and feeling we are looking to create in the space. Our first design is the most expensive and showcases some beautiful pieces. I’m specifically talking about that coffee table, but yes – ouch! – the price tag hurts a lot of us!!! 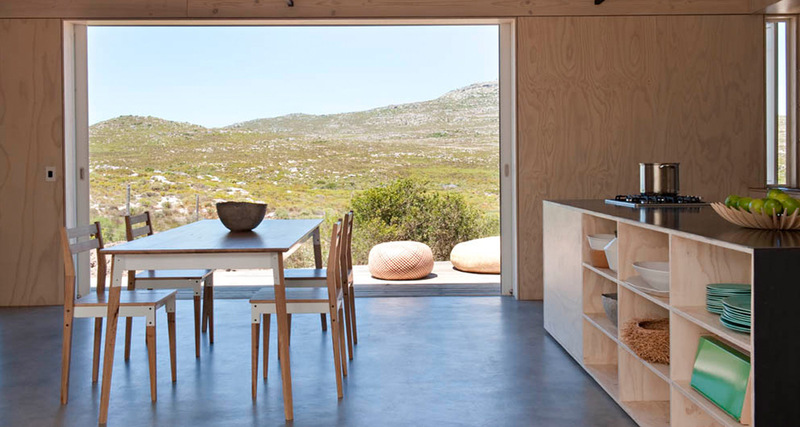 While I love this look and all the furniture pieces, I realise this is way out of the budget for many of us. Which is why we created this second design which comes in at less than half of the cost of our first one, and yet still looks chic and pulled together. Third time round we managed to share off another R15K from the budget, but at this price point we found that it becomes quite difficult to find sofa seating options that are a good size and have a wooden frame. Around this price point almost everything turns to plastic rattan weave. The coffee table and dining chairs are also currently on sale from @home, so that also helped the budget. 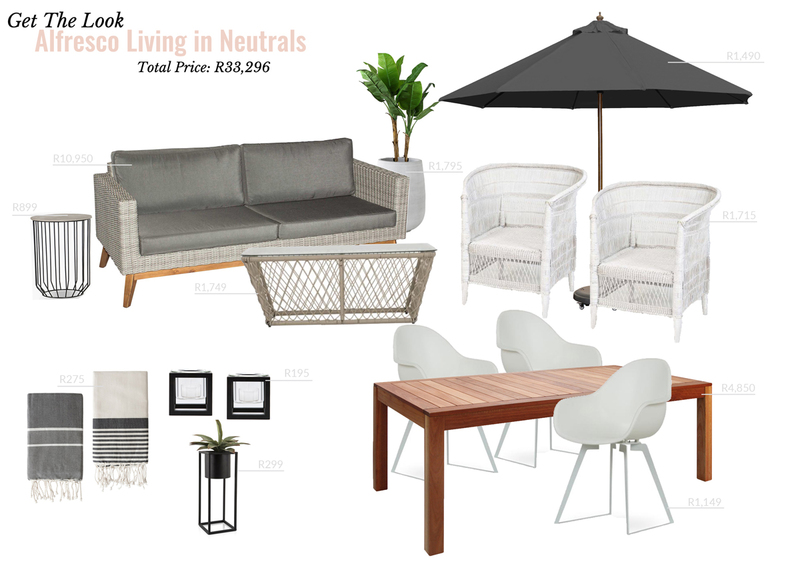 We tried our very best to make sure that all the furniture is suitable for outdoor use, but of course depending on how covered your outdoor spaces are, you could use indoor furniture in an outdoor setting, although it definitely is at your own risk.